We pride our products on being the most durable and reliable in the business, but we can’t control everything that happens out in nature. Keeping your feeders as clean as the day you bought them can be simple, as long as you put in a little effort in maintaining them. Not only will keeping your bird feeders clean aid in the durability of your bird feeder, but will minimize the chance of spreading disease among the birds. Try to refill your feeder every day or two in order to provide the healthiest seed. If seed is left too long and becomes wet, it is easy for it to become moldy and develop bacteria. So, it is important to change out wet seed and make sure drainage holes are clear to avoid stagnant water on the feeders platform. If not done, birds can get sick and transfer diseases, which can ultimately lead to death. During the winter, crowding around a feeder is common and the chances of disease transmissions increases. To avoid these sick birds infecting healthy ones, place your feeders away from each other if you have multiple in your yard. 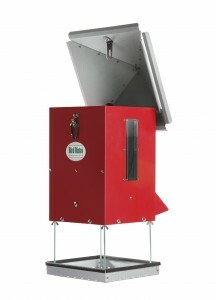 Feeders should also be cleaned at least every month and even more often during the rainy season and peak times of use. To clean a bird feeder, simply wash it in hot, soapy water. If you’re looking for a more thorough clean, dip it in a one part bleach, nine parts water mixture for a few minutes. Make sure you rinse the feeder out and wait until completely dry before refilling with new seed. Deer feeder maintenance is all too important if you want to maintain quality feedings. Deer saliva and humidity can create moisture that may harden some feed to the lip of the feeder spout. Every time you visit your feeder, you should check for this occurrence. If you see any hardened feed, simply use a hard object, such a flat head screwdriver, to wipe it away from the spout. If you use a solar panel, this should also be cleaned every visit as pollen and other debris can easily block the sun from fully charging the panel. Wipe the face of the panel with a soft cloth and a mild cleaning solution, such as Windex. Once a year, lightly sand or wire brush any rust that may have formed and re-paint it, to increase your feeder’s lifespan. Also, clean out and remove any dust or other debris from the barrel and spinner plate that may block the smooth flow of feed. Be sure to keep your digital timers powered up. 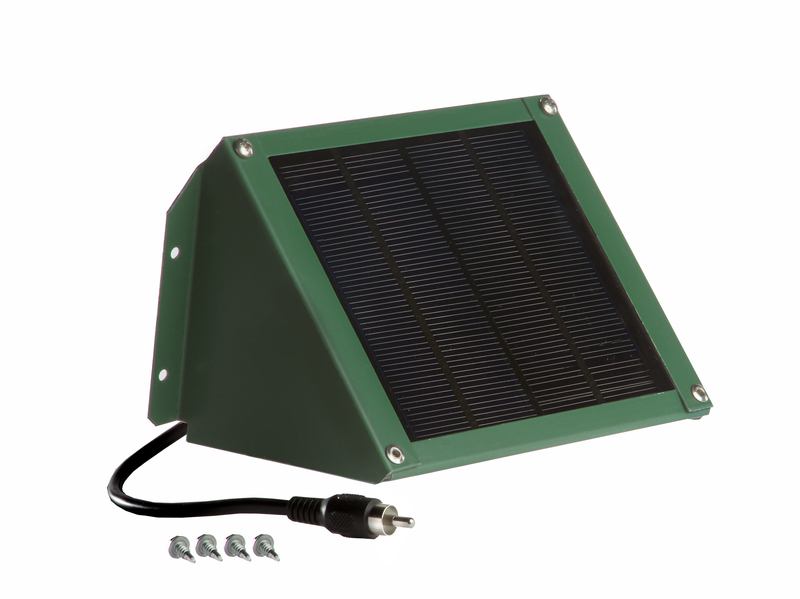 You can save yourself time and effort by powering your feeders with solar chargers, not only will they prolong your battery life, but they’ll eliminate the need to be constantly replacing your battery and making sure it’s always fully charged. Timers and solar chargers will quality feedings for you wildlife easy. Maintaining your feeders will increase it’s lifespan, so you can keep enjoying the animals they attract. 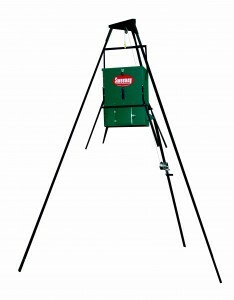 For the most durable and long-lasting deer and bird feeders, check out all the products Sweeney Feeders has to offer.